The Book Shop in Somerville, MA. will be hosting author Chuck Hogan on Feb. 10 at 1 p.m. He will read from one of his novels, which will then be followed by a Q & A. This event is free. Hogan is the New York Times bestselling author of several acclaimed novels, including The Town, which was previously published as Prince of Thieves and Devils in Exile. 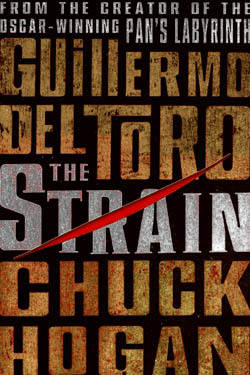 He has also co-authored The Strain trilogy (The Strain, The Fall and The Night Eternal) with writer and director Guillermo Del Toro. The Book Shop is located at 694 Broadway in Somerville. For more information about this event or upcoming events, check out the bookstore’s website here. As a fan of many classic movies, I’ve had the pleasure of visiting a great deal of filming locations to those films. As a child I got to swim at the beach from Jaws in Martha’s Vineyard. I had the pleasure of visiting The Amityville Horror house in Toms River, New Jersey. Heck, I live within ten minutes of various movie locations in Boston where such films as The Town, The Departed, and Good Will Hunting were filmed. 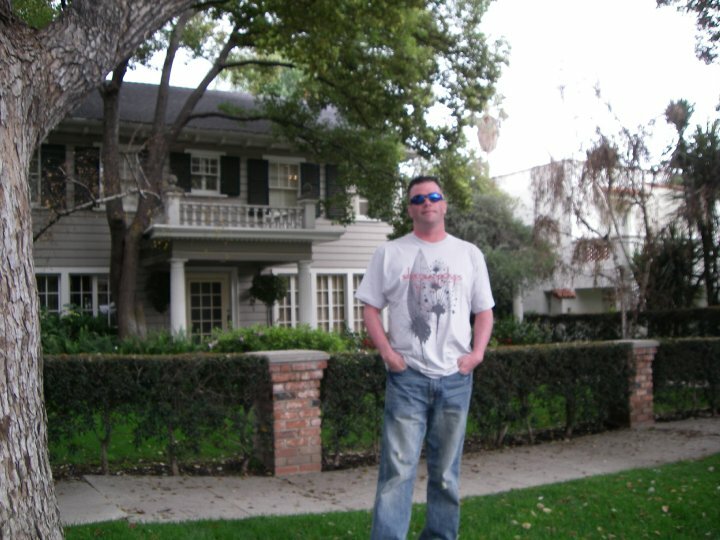 My absolute favorite location visited however was South Pasadena, California where the majority of John Carpenter’s HALLOWEEN was filmed. 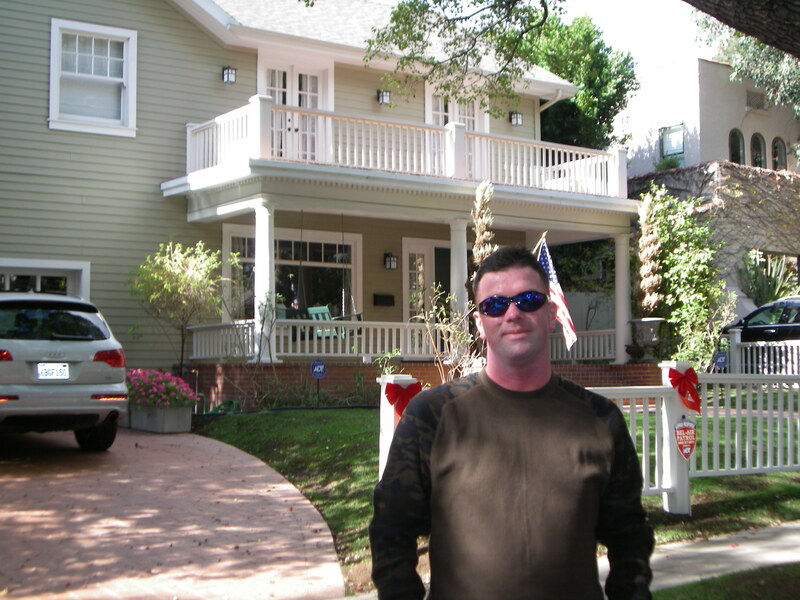 Rob Watts in front of The Wallace home where Laurie’s friend babysat. Photo by Shannon Watts. 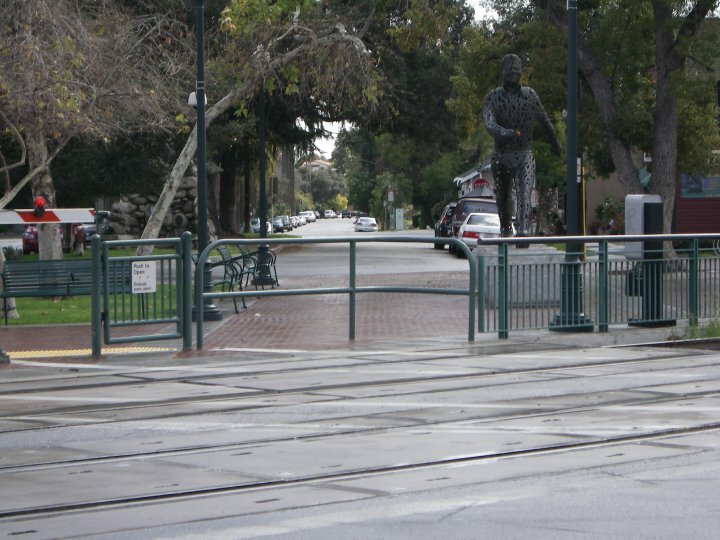 Unlike a lot of filming locations, the neighborhood of South Pasadena was used primarily “as is.” There was very little film trickery involved as the town of “Haddonfield” had (has) a charm and beauty of its own that needed very little set dressing. Aside from bags of painted leaves being thrown around within frame to establish autumn in Illinois, very little else was manipulated. Upon first visit to the now iconic neighborhood, I was shocked to see just how much of it resembled that as it was in the film, even more than thirty years later. The hardware store (as it is today). Photo by Shannon Watts. You don’t have to travel far around town to see most of the locations either, as much of the daytime hours scenes were all filmed within streets of each other. For instance, the street where Laurie Strode is walking to school after dropping the keys off at the Myers house (Meridian Ave), leads directly to the hardware store that was broken into later in the day. 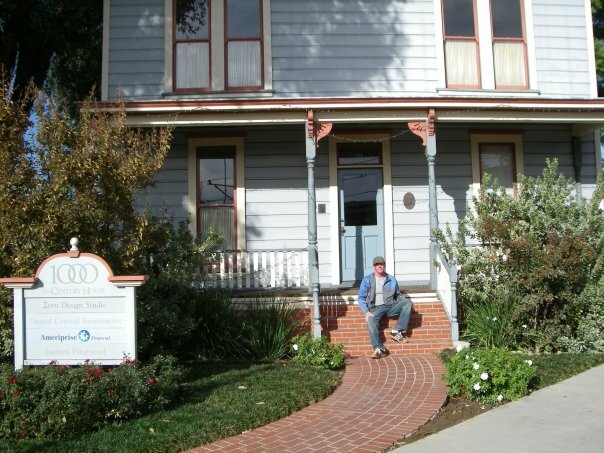 Incidentally, the actual Myers house was moved and restored directly across the street from the hardware store (now a picture framing store) and is currently a doctor’s office located at 1000 Mission Street. Rob Watts on the steps of the Myers House. Photo by Shannon Watts. If you walk back down Meridian Ave., you will be walking in the direction of the streets where Laurie and her friends walked home from school. You’ll want to look for Magnolia Street, Montrose Ave., and Highland Street. These are the streets which were most visible throughout the first half of the movie. Probably the most iconic location from the film, and believe me it’s still there, is the famous hedge where Michael Myers hid behind as the girls approached him. It’s a little tricky to find at first because most houses on the street have similar hedges, but if you travel down Montrose Ave, going through Oxley Street, you will stumble upon the giant hedge. Just make sure no one is standing behind it waiting for you. The babysitting scene street. N Orange Grove Ave. Photo by Shannon Watts. The last half of the film, where the girls were babysitting, was oddly enough filmed on the corner of Sunset Blvd in West Hollywood. Although you’d never know it from watching the film, directly behind the camera crew was a bustling nightlife. It was a bit odd for me to look in the opposite direction of the street from the film and find a KFC and Blockbuster Video (because I’m sure Laurie Strode could have run in there for help if she really needed it.) But that was the genius of John Carpenter. 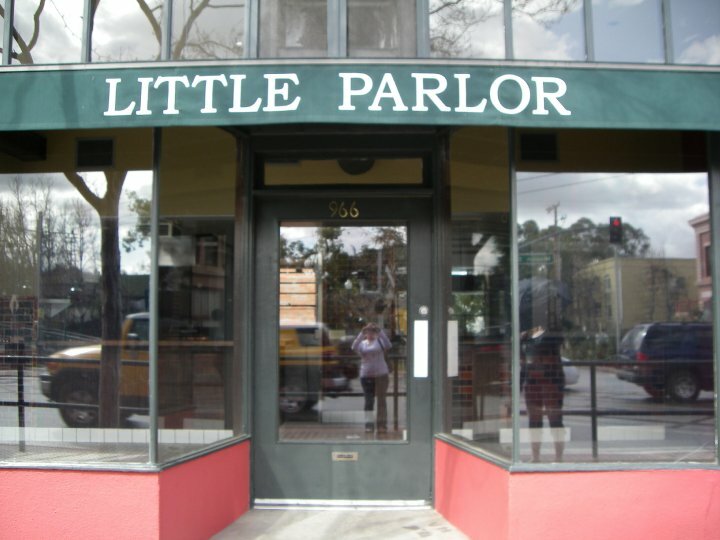 He had a knack for taking a side street of Los Angeles’ most happening neighborhood and have it appear as a modest suburban town in the middle of America. 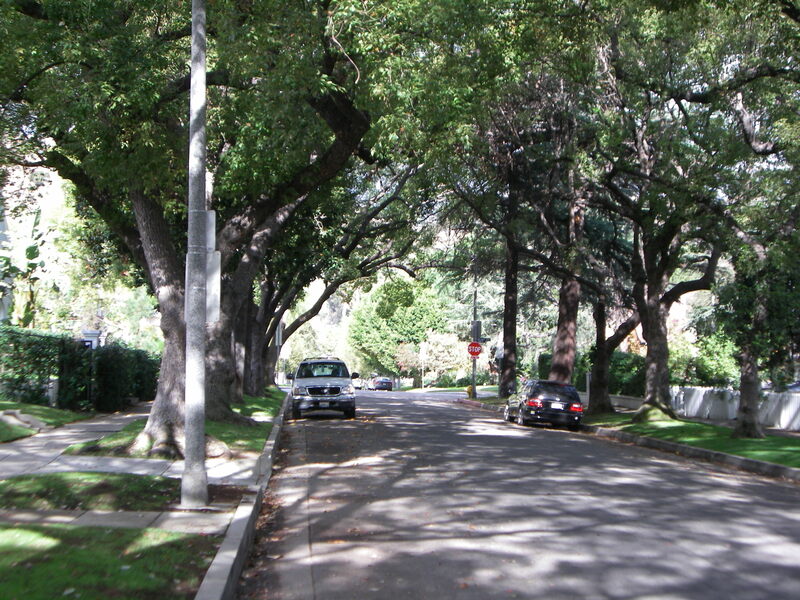 The street where Myers drove behind the girls. Photo by Shannon Watts. The two houses where Jamie Lee Curtis’ character and her friend babysat are located at 1530 and 1537 North Orange Grove Street, off Sunset Blvd. The home where Laurie Strode babysat looks almost identical as it did in the movie. The house across the street has been updated a great deal over the years but still maintains some resemblance to how it did in the movie. Rob Watts in front of the Doyle House (Jamie Lee’s). Photo by Shannon Watts. So if you are ever in the West Hollywood or South Pasadena area of California and you love the original Halloweenthen it’s worth a venture around the filming locations of this incredible film. Just be respectful to the homeowners and respect their privacy. And for God sake, if you see a guy walking around in a rubber mask, RUN! 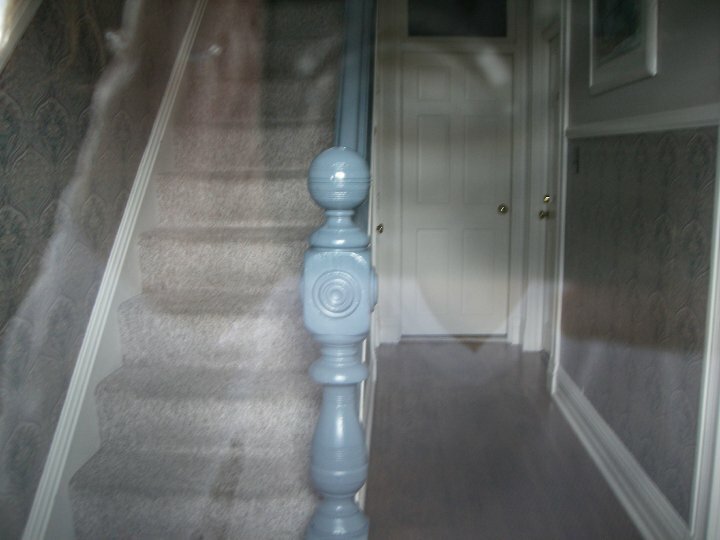 The creepy staircase in the Myers house. Photo by Shannon Watts.